As this is my first blog post in 2010, I thought that it should focus on a really hot topic! I hope you will enjoy it! I called this post “The PowerPivot Experiment”. Here’s a little background information on how I decided writing this article. 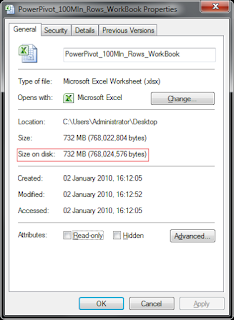 When PowerPivot (formerly known as “Gemini”) was released, I really wanted to test its real capabilities by trying to import a really large amount of information right into excel and perform aggregations. 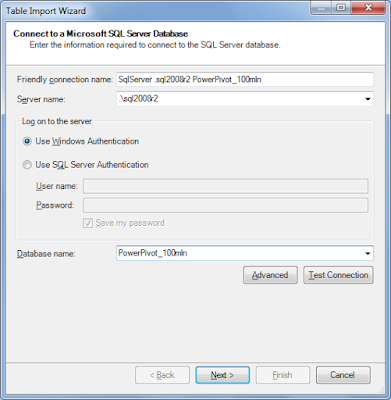 To this end, I designed a simple relational database with five tables, populated it with data and performed my experiment using PowerPivot. For the record, the total amount of data was more than 100 Million Rows. 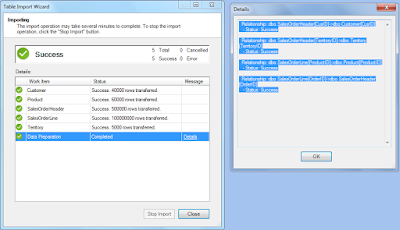 In this post I will explain step-by-step the experiment, starting from the database design, then explaining the import process and finally, provide some examples on how I processed this huge amount of data. Before describing the steps, I would like to list the several software technologies used, as well as the hardware and O/S configuration of my infrastructure. Step 5: Import completed! Total Time: 15:54 – 15:46 = 8 minutes!!! 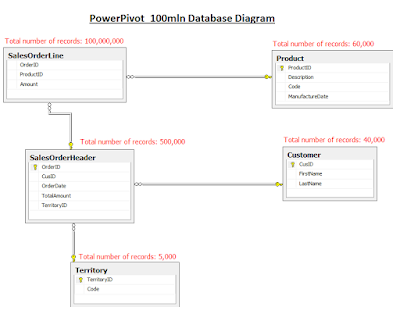 After I finished with aggregating the data using the PivotChart tools, I saved the workbook. 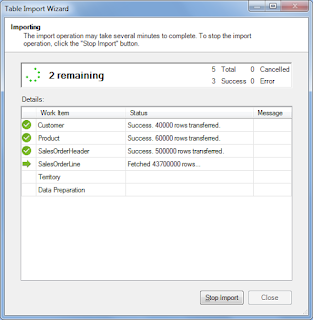 Note that by saving the workbook, the data that were imported earlier into the workbook using PowerPivot, are stored IN the workbook and you can access it anywhere as they are contained in the workbook file as a binary object. 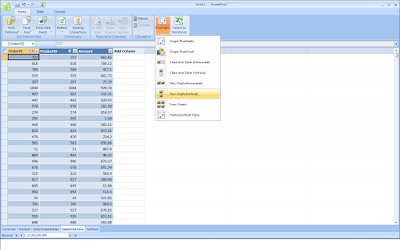 After performing the above practice, I was able to see in action and test some of the powerful capabilities of PowerPivot. 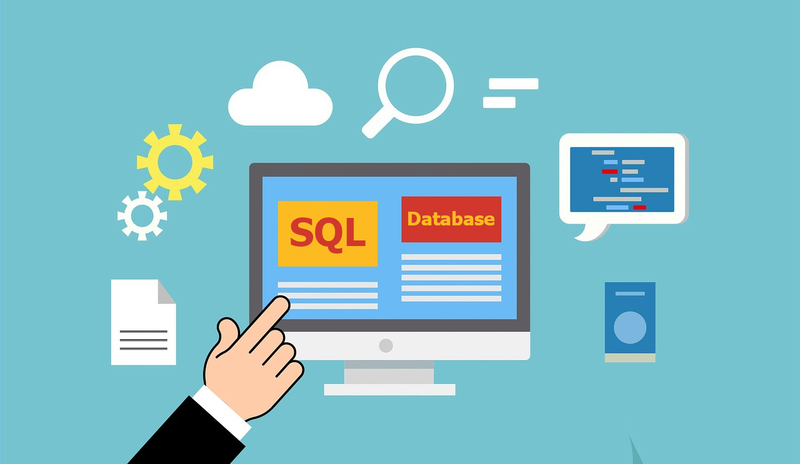 The data compression, the speed of the import process, the ease of creating rich Pivot Tables and OLAP queries are some of the great features of PowerPivot that take Business Intelligence a step further! 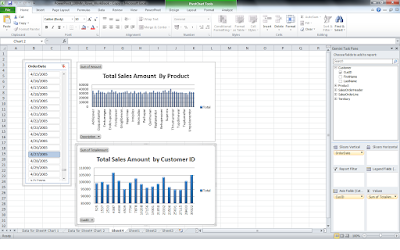 There is more to come on PowerPivot so make sure you check back my blog soon! ← Selected Tweets of Year 2009! 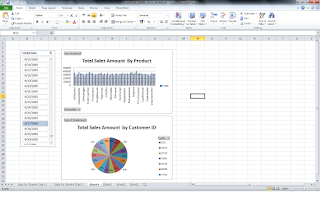 PowerPivot looks like a great tool. 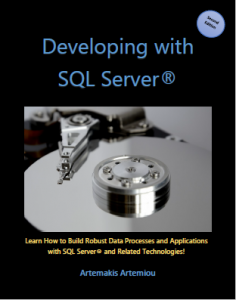 I was thinking about writing Excel applications in VB.NET that can handle vast amounts of data. 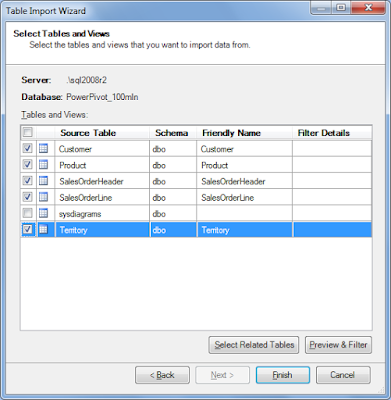 Is there a way to import tables programmatically into the PowerPivot and manipulate them there? 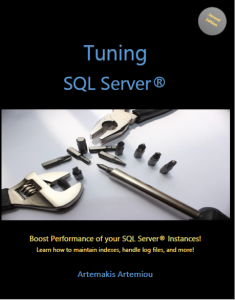 Yes, it is an extremely powerful tool for doing BI! 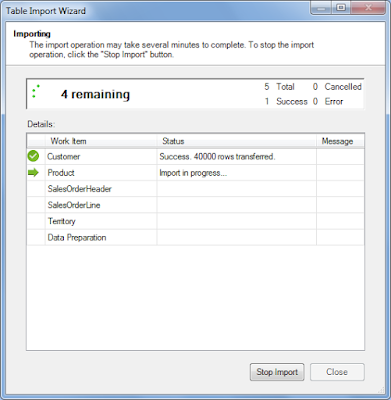 For programmatically importing data into PowerPivot and manipulate it would require a developer API. To my knowledge, at the time being there is not such an API available but it will be in the future! Thanks for the post! 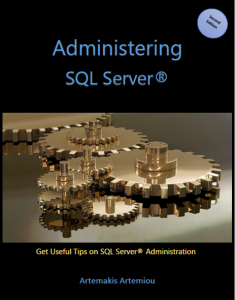 Any chance you could post a backup of your sample database? Did you use the 32bit version of Office and PowerPivot? I used the 64-bit versions for everything! I cannot upload the entire database (along with the data) as it is quite large!